Our Gable Series 7500 - the perfect solution for a wide range of applications including growing, retail and even steel covered head house or warehouse designs. Choose from several sizes and load ratings. 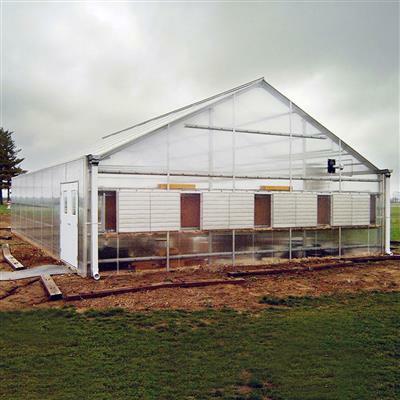 Each structure includes the complete building frame and long-lasting 8mm twinwall polycarbonate covering. Complete frame with superior strength rollformed steel trusses and purlins. Each truss assembly is produced from one rollformed component - no splices required from peak to gutter connection. 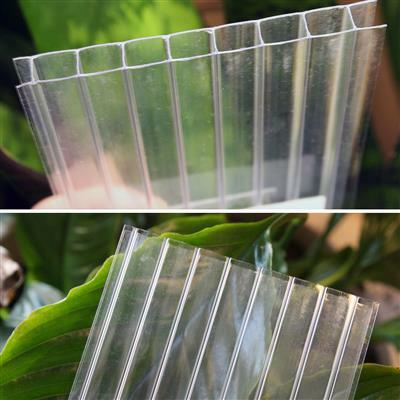 8mm Twinwall Polycarbonate Glazing for Roof, Sidewalls and Endwalls. Pricing on our most popular size configurations are listed in the above drop down box. 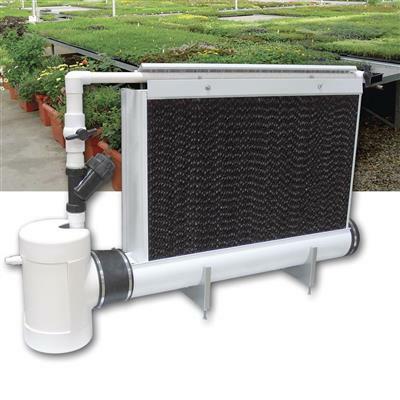 Please contact Greenhouse Megastore customer service at 1-888-281-9337 for pricing on desired configuration. 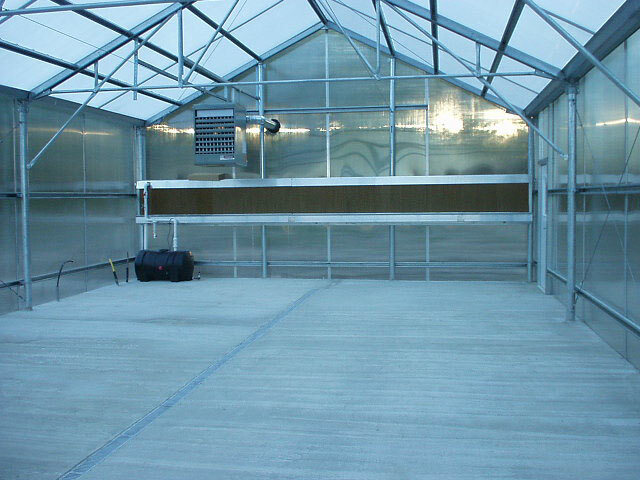 All commercial Gable 7500 Greenhouses are engineered to meet 85 mph wind and 12 to 30 pound live load per the UBC Building Code. 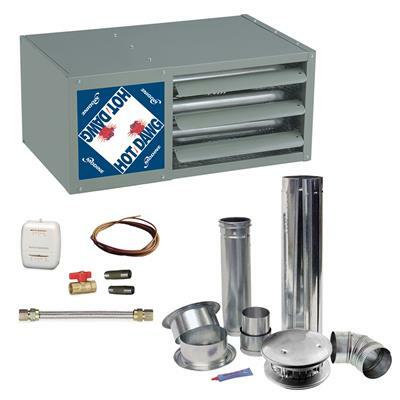 Even higher load ratings and stamped engineered plans are available at extra cost. All galvanized steel frame insures maximum strength and life. 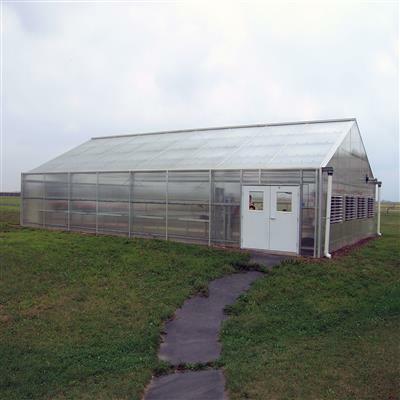 Lexan twin-wall polycarbonate covering is UV resistant and carries a 10 year warranty against discoloration. 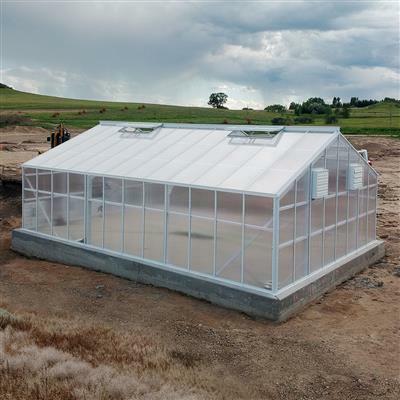 Add the optional accessories below to complete a fully operational commercial greenhouse that will fit your particular needs. 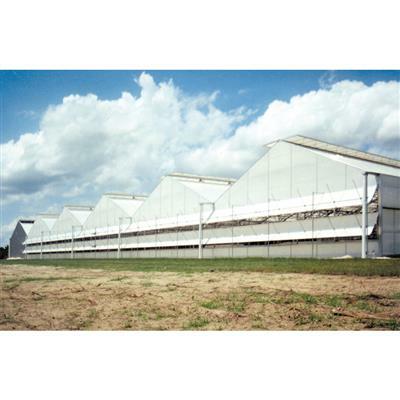 The superior strength of this galvanized steel building can be engineered to meet almost any load rating. The gable style roof can be easily gutter-connected to create a larger growing area. 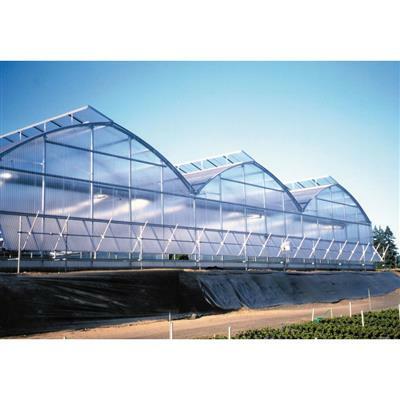 Rollformed Steel Frame Gable 7500 Series Greenhouse Frame. guaranteed for 10 years against discoloration. For Sidewalls, Endwalls, and Roof. Normal shipping time is 4 to 6 weeks after receipt of order. Please allow additional time for transit from factory. 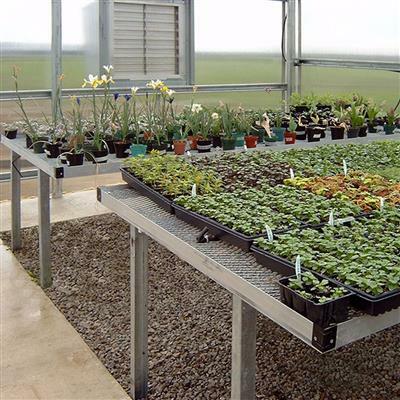 50% of basic greenhouse price will be charged upon receipt of order. The balance will be charged when shipment is made.